We visit with lots of people every year that are interested in improving their home. It might be to remodel the kitchen, add a bathroom, finish a basement, build an addition or any number of other projects. There is a huge variation in the type of projects homeowners are considering. But, within this variation of project types, there is a common question among the people we visit: how do we get started? For the uninitiated, remodeling can be a daunting task. What will the project look like? How much will it cost? How long will it take? What are my options? The short answer: it depends. Remodeling your kitchen is not like buying a new car. There’s no web site you can visit to see exactly what your new project will look like in your home. Enter CaseStudy®, our proprietary process to deliver all of the information our clients need to make the right decisions for their family. We will explore design options, outline project budgeting, review timelines and give you options to tailor the project to make it uniquely yours. We’ll do this for a low, fixed cost and back it up with a 100% money back guarantee. Interested? Let’s walk through the process. It all starts with a complementary consultation at your home. Because this is an information gathering, collaborative brainstorming, option discussing, budget parameter review type of meeting, it’s ideal that everyone that will be involved in the project be present. Discuss your goals for the project and understand exactly what you want to accomplish. Review design options—what is possible and might warrant further exploration? Understand your style—is there a “look” you want to achieve? Should the space be warm and cozy, bright and fresh, clean and sophisticated or something else? Determine a realistic budget for the project. We’re going to give you an honest idea of what we think the project will cost when we factor in the parameters outlined above. A discussion of time: how long will it take to design and select all of the materials involved in the project? How long does the permitting process take? What about construction? An outline of our next step: the CaseStudy® process. Answer any questions you might have about Case, the people you will be working with, or whatever else is on your mind. That’s about it. Now you have to decide—is Case a good fit for you and your project? I hope we are, because if you move forward with us, things get pretty exciting. 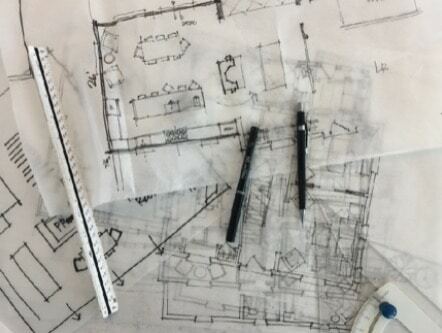 When we head back to the office, our next step is to enter these dimensions into our CAD software to create a set of accurate, scaled drawings that reflect the existing space. Now that we have something to work from, things really start to happen. It usually starts with a roll of trace, a pen, and several creative people from our Design and Development Team collaborating on possibilities. 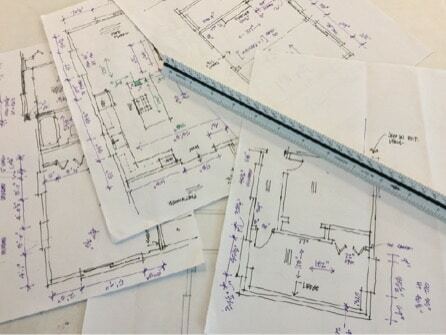 We’ll sketch out multiple ideas and then review the parameters we discussed with you at the initial meeting. Are these ideas consistent with the style you want to achieve? Are they in line with the budget we discussed? Can they be accomplished in the time periods we outlined? We’ll pick the best three ideas that match our criteria for further development. Now it’s back to CAD to further develop and accurately depict these ideas. This is where the drawings that we will share with you are created. You will see these when we get together to review what we have come up with in our CaseStudy®. We usually hold this meeting at one of our Design Centers so we can also look at product options too. We have locations in Bethesda, Falls Church, and Washington, DC. 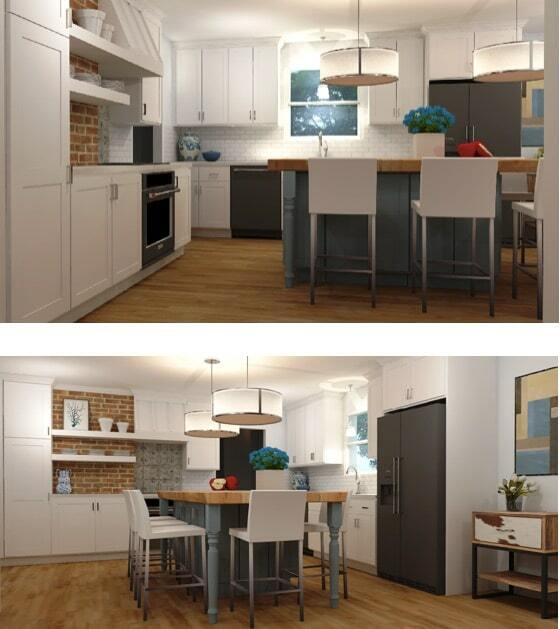 You will notice that in addition to 2D plans, we have included 3D perspectives of the space. 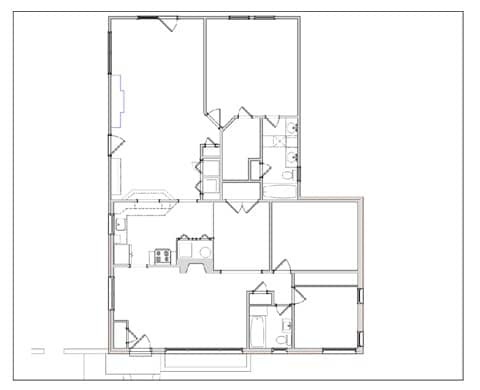 They communicate this information much more effectively than typical 2D plans and elevations. And we’re not done yet! If we have established a palette of finishes, these images can be rendered in a shockingly realistic way. Can you picture yourself in your new space? Starting to get excited? 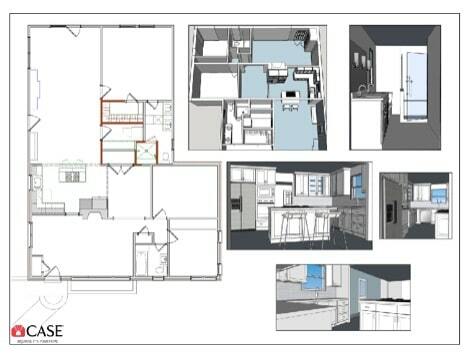 Renderings just not doing it for you? Still struggling to “see” the space? We don’t give up easily—this is your home we’re talking about and you need to fully understand what we are proposing. Technology to the rescue! 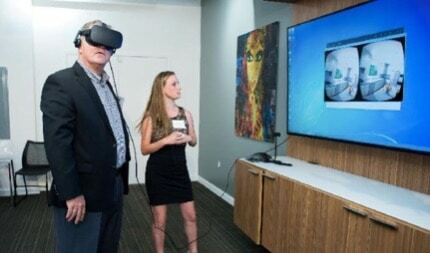 Using virtual reality headsets, we are now able to actually place you in a model we create of the space. Look left, right, up or down—you can see it all! The outline may also include options. Materials can have a significant effect on the final cost of a project. We want to make sure you understand the implications of these choices so you can make informed decisions. And finally, we’ll outline next steps and timing of the project. That’s a CaseStudy®. You now know what your options are, how much each of the options will cost, what next steps there are to complete, and a time frame for the project. There is no commitment to build the project, just a commitment to explore what is possible. We are so confident in this process that if you are not satisfied with our work, we will give you your money back. No questions asked. With a CaseStudy®, you get all of the information you need to make good decisions for your family and your home. The CaseStudy® is just the first step in our process. Once we have narrowed our options, the next step involves weaving in our team of construction experts, developing detailed drawings, making materials selections, and specifying everything involved in the project so we can develop a fixed price contract. But that’s a topic for another day. 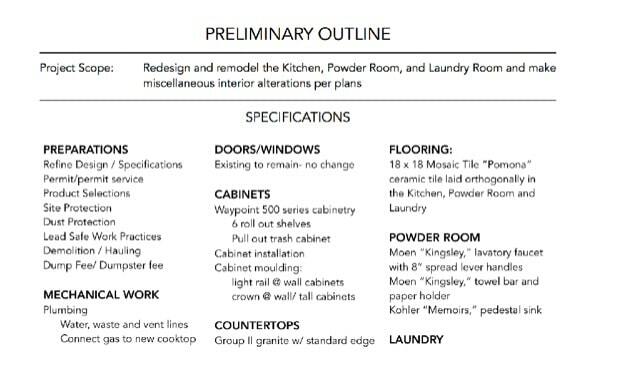 We have used a kitchen project to illustrate this process, but we will follow the same path for other projects with a few tweaks. With additions, we will want to explore the exterior in three dimensions as well as the interior. We also need to research any zoning or neighborhood/area guidelines that will effect the project. In a basement project, we might examine ceiling height and egress issues. The exact course of action will change according to the project. The one thing that won’t change is our commitment to deliver all the information you need to make good decisions. We’re in the business of turning dreams into reality and we think the CaseStudy® is the right vehicle to help us do just that. Lets get started on yours today.